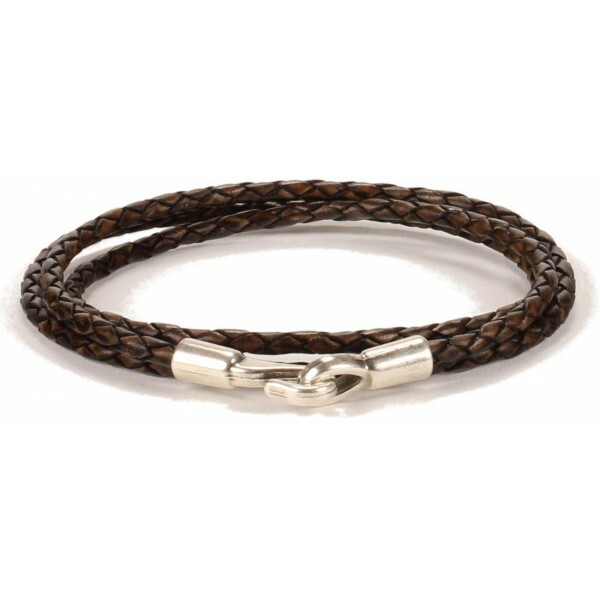 Our Iowa bracelets are made of 3mm round leather - either in a cord strand or braided. This particular style is done with a triple-length strand of rustic-looking braided leather secured with a hook clasp. You can wear them on their own but they look even better stacked with any of our other bracelets for a personalized look. This style is perfect for either men or women.